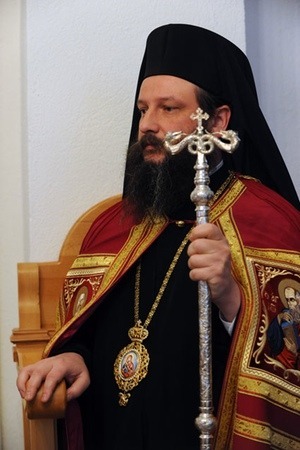 Upon receiving the information that Archbishop Jovan of Ochrid was arrested on December 12, 2011, while entering the Former Yugoslav Republic of Macedonia (FYROM) from the border with Greece, the Hierarchs of the Assembly of Canonical Orthodox Bishops of North and Central America reaffirm the position taken by the Standing Conference of Canonical Orthodox Bishops in the Americas (SCOBA) in August 2005, and furthermore restate that the persecution and new imprisonment of Archbishop Jovan by FYROM are an outrage, and ask for his immediate release. This arrest has a history of several years and began when the schismatic church of FYROM started persecuting the canonical Archbishopric of Ochrid, an autonomous part of the Serbian Orthodox Church. This imprisonment, as did the previous ones, violates religious freedom in a supposedly free state. That a recognized, canonical Orthodox Christian hierarch can be imprisoned once again under false allegations, and while trying to fulfill his religious responsibilities, is simply absurd. We join again the Holy Synod of the Serbian Orthodox Church in demanding the release of Archbishop Jovan. We ask the government of FYROM to correct this injustice and to free Archbishop Jovan without delay. Furthermore, we call upon our governments to intercede and implement appropriate measures to hasten this process.